On Friday evening, Nottingham Forest confirmed the signing of Alexander Milosevic on an 18-month contract. The Swedish international will bolster Martin O’Neill’s options in defence with Forest suffering an injury crisis and supporters are delighted with his acquisition. Really pleased about this signing. 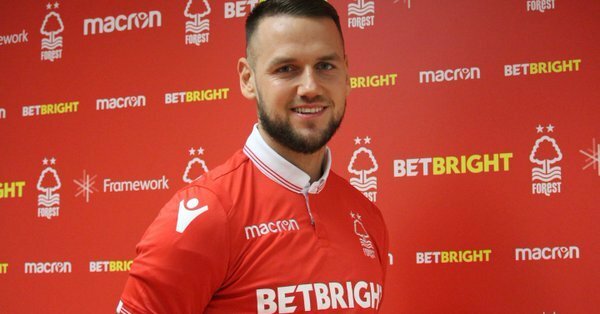 You all Nottingham Forest fans should be pleased with the signing of Milosevic, proper leader & lad. Warrior. As a Swede (half Swede) I can tell you guys his strong in the air and good with his feet. A modern playing centre back that is also a leader on the field. A fighter! Think this will be a very good signing for Nottingham. Plays with big heart and great leader! Feel lucky NF FC. Milosevic made 119 appearances in all competitions in two stints at AIK prior to his move to Forest, winning the Allsvenskan title last season. The 27-year-old has led a nomadic career, playing for Vasalaund, Besiktas, Hannover 96, SV Darmstadt 98 and Caykur Rizespor, but he’ll be hoping to make a name for himself in the Midlands. With Michael Hefele ruled out for the season, Michael Dawson recouping from a hamstring injury and Tobias Figueiredo recovering from a leg problem, Forest aren’t blessed with depth at the back ahead of Saturday’s meeting with Birmingham City. New-boy Yohan Benalouane is likely to start at the heart of the defence and Milosevic could be thrown straight in. Left-back Jack Robinson might have to be used in a makeshift capacity if the Swede is unavailable. Fans took to social media to reveal their delight in Milosevic’s signing and they may have an opportunity to see him in action over the weekend.